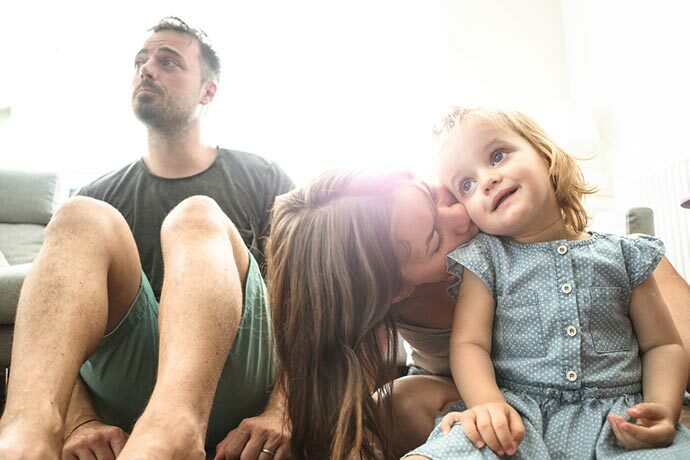 An early diagnosis helps GPs to manage and control cases. This means fewer patients are in a state of decline and fewer patients die early from the disease. The current NICE guidelines for managing CKD in general practice are comprehensive. They include identifying and managing patients with CKD as well as auditing the early identification and management of CKD patients. We have built a collection of resources that includes reports, alerts and a template. We call this CKD Manager. Exact and efficient, it integrates with Vision, SystmOne and EMIS systems and helps GP practices to provide better care for CKD patients by improving register accuracy, optimising treatment and reducing the chance of further renal decline. Use the practice reports to identify patients that may have the disease but are not on the register. You will see a count of patients meeting the diagnostic criteria for a specific CKD stage but have no CKD stage 3 (or above) Read code in their record. You can then drill down into a list of patient names and add the appropriate Read codes to their records. Non-clinical staff can recall patients that need an urgent review for other reasons, such as overdue blood pressure checks. They can print invitation letters in bulk, but it's cheaper to do this with SMS text messages. It's quick and easy to identify cohorts of patients whose clinical record may need a review. CKD Manager suggests appropriate interventions and CKD Read coding. It will also show patients whose blood pressure is not on target. You can bulk add Read codes by selecting patients within reports and then add one or more Read codes to them all. 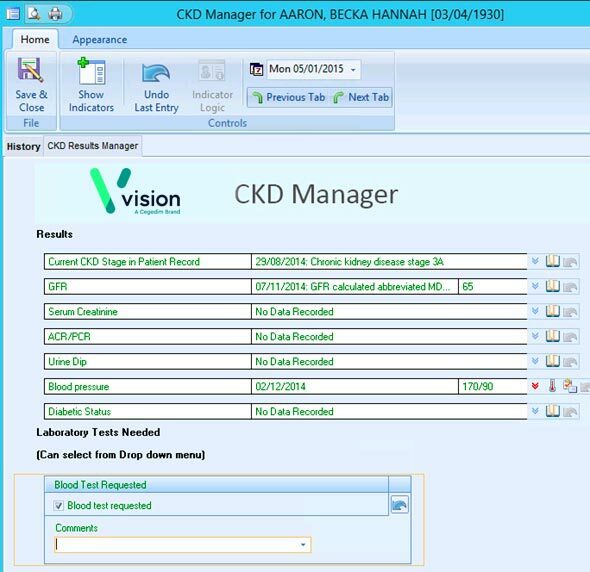 CKD Manager includes an interactive template to help manage your CKD patients. The template alerts clinicians when action relating to CKD may be beneficial during encounters. You can also access the template during consultations or from any of the CKD Manager reports. CKD Manager is available centrally-funded on GPSoC as part of Outcomes Manager so there is no cost to GP practices in England. You can start using the software straight away and we will liaise with your CCG to organise the funding. In other parts of the UK a small annual charge provides access to CKD Manager as well as templates for DMARDs, anticoagulation and COPD. CCGs and health boards can use Outcomes Manager to case-find at scale across their entire population. It uses data from all practices, regardless of the clinical systems they use. This is then displayed within an interactive cloud-based reporting dashboard. Greenwich CCG has achieved staggering results over a 12 month period. They used Outcomes Manger to identify 4,000 patients with undiagnosed long term conditions. You can download a case study to read more about this.